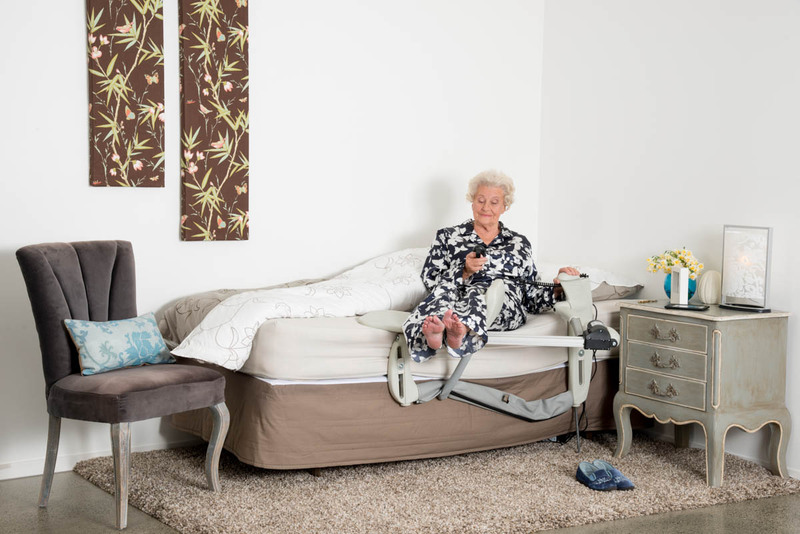 The Multifit LegLifter is a power-driven appliance designed to gently lift a person’s legs from a bedside seating position to the surface of the bed. 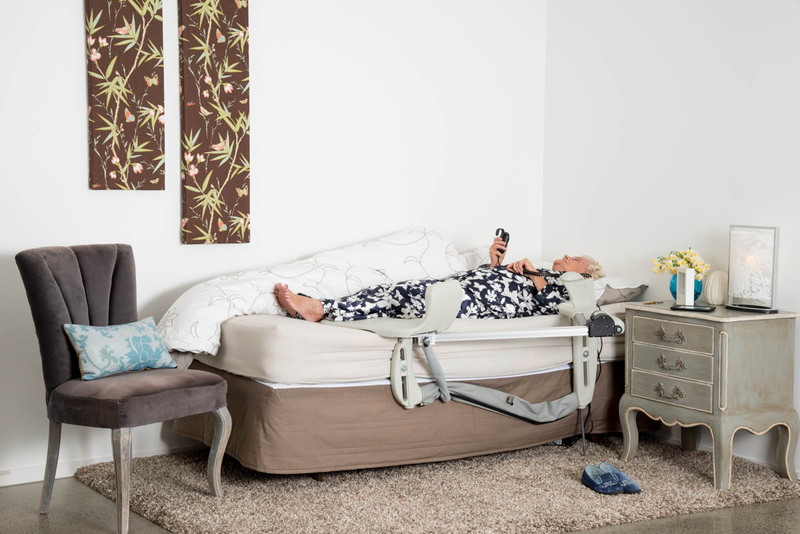 It is proven to be a successful mobility solution in providing independence for elderly and disabled clients. For therapists and caregivers, it saves considerable time and physical exertion. 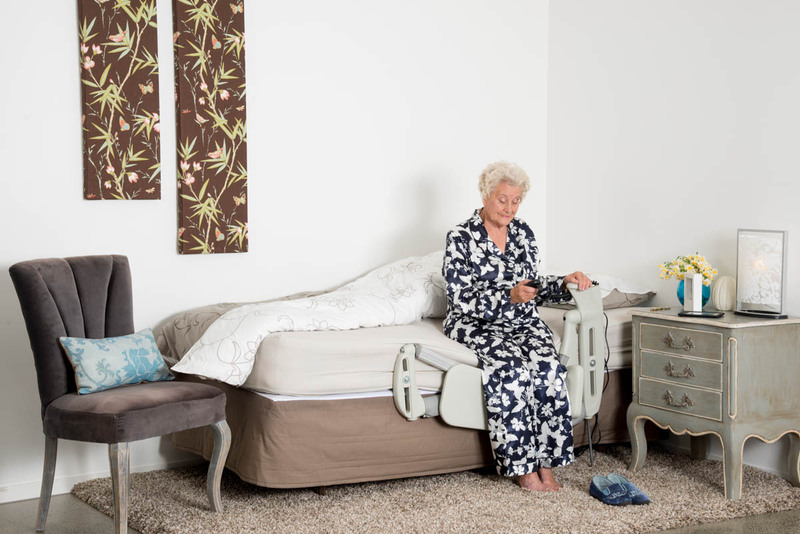 The Leg Lifter Transfer Rail is designed to fit the Leg Lifter and assist with standing beside or sitting up in bed, it perfectly complements the Leg Lifter and is a necessity if the client has an existing rail. 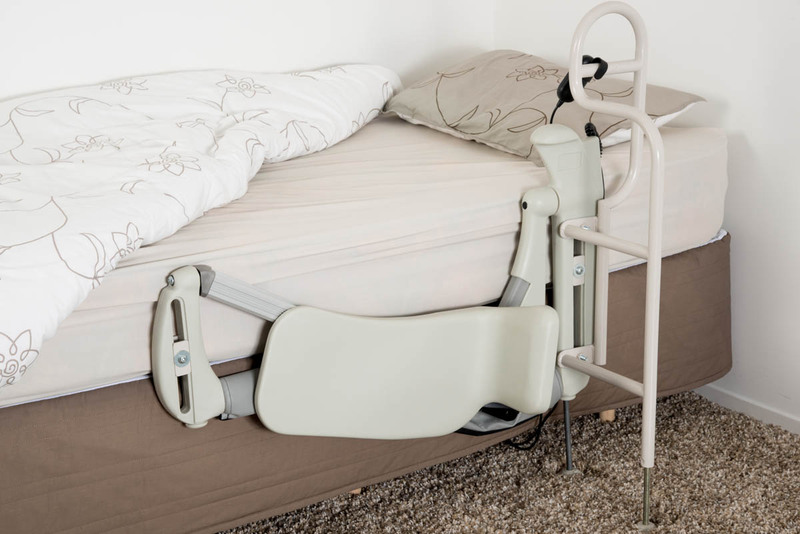 It attaches directly to the LegLifter and has an adjustable foot to give extra support. Additionally, the rail is finished in powder coated beige to blend in with the leg raiser. 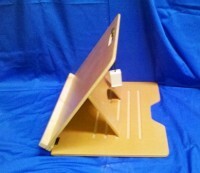 Refined profile for very low beds, providing easier bedside access for people of short stature. Easy installation to a wider range of profiling beds, domestic bed types, including innerspring, slat and frame beds. 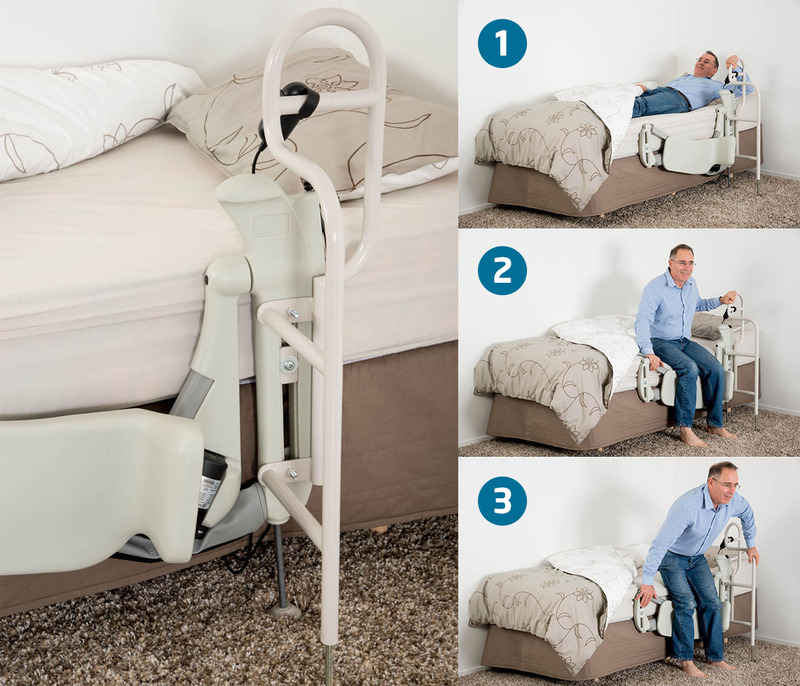 Easier under-bed access for bed-table trolleys and clearer standing space for bedside caregiver tasks. Synchronized lift action to suit the needs of clients with diminished balancing ability. Refined ergonomics in a slimmer profile. Reduced to 9 kg weight for easier portability. 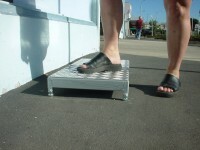 Wide leg-rest to suit clients with edema or swollen leg conditions. Be the first to review “Leg Lifter (MK3L)” Click here to cancel reply.